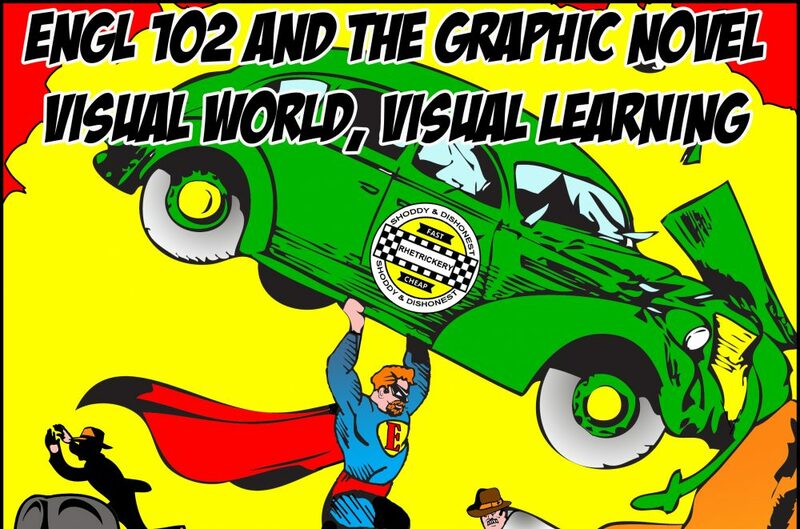 Module 1: What are Graphic Novels? Share your thesis and graphic novel. Other than your immediate anti-thesis (the inverse of your argument), what other things do you need to be able to address: discuss. Consider what are the MAJOR issues whether they be naysayers, other arguments, or questions from the audience you will want to raise and then answer in your counter-argument. Freshman College and Art Dept. are hosting Graphic Novelist for both a Workshop on Monday Evening (April 8) and a Lecture on Tuesday (April 9). Please attend. If you write up a brief summary and response to any of these, bonus points will be applied to your lowest paper grade. I will accept submissions from you in class on Friday, Apr. 12. They are due via Moodle, tonight (APRIL 5) by 11:59 PM. The forum is now up. This week is CALA Bash here at Claflin University. I want you to attend events that are taking place. Especially, and this will count towards your attendance for this week, I want you to attend at a minimum TWO events and write me a brief (2 – 4 paragraph summary and response) about what you witness. 2. Your response should tell me your opinion or feelings or what you learned at the event. These will be written up and shared with me next week. You may use your journal for this. On Tuesday, students from one of my classes will be presenting posters in WVM lobby, a speaker who does my avatar work drawings for this blog will be here and talking at 2 PM in ARM and there will be a comic book jam hosted by me in the GTK writing center at 4 PM.